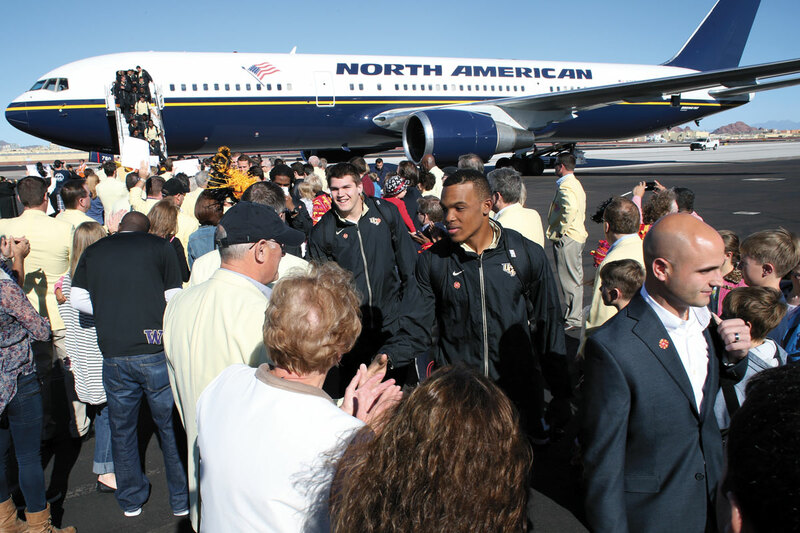 Friendly fans and big smiles welcomed the Knights as they arrived for the 43rd edition of the Tostitos Fiesta Bowl. 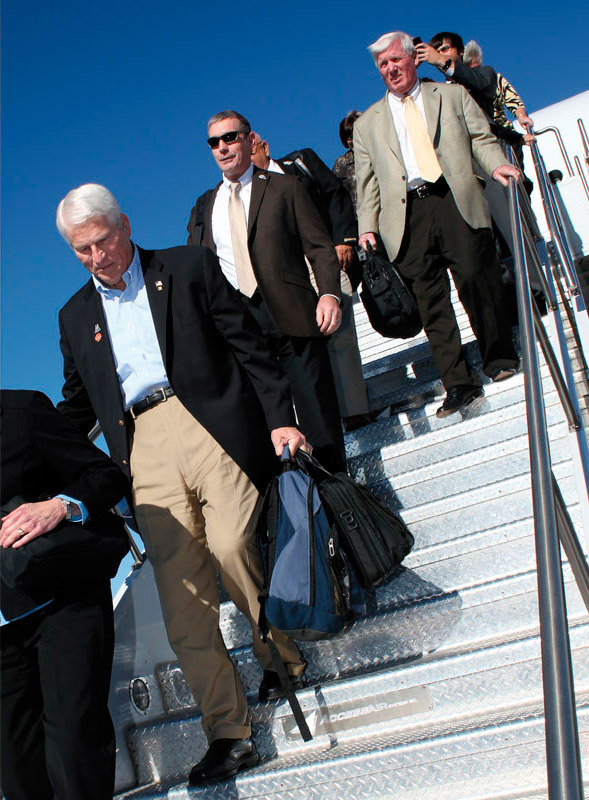 President Hitt and the team arrived in Arizona on Dec. 26, 2013. Enthusiastic fans greeted the players upon arrival. 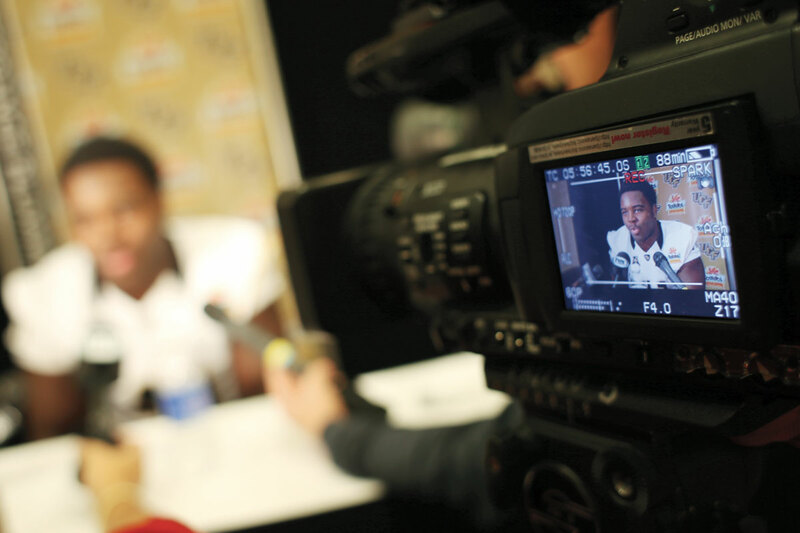 Once the game began, it was clear how much the media had underestimated the Knights. 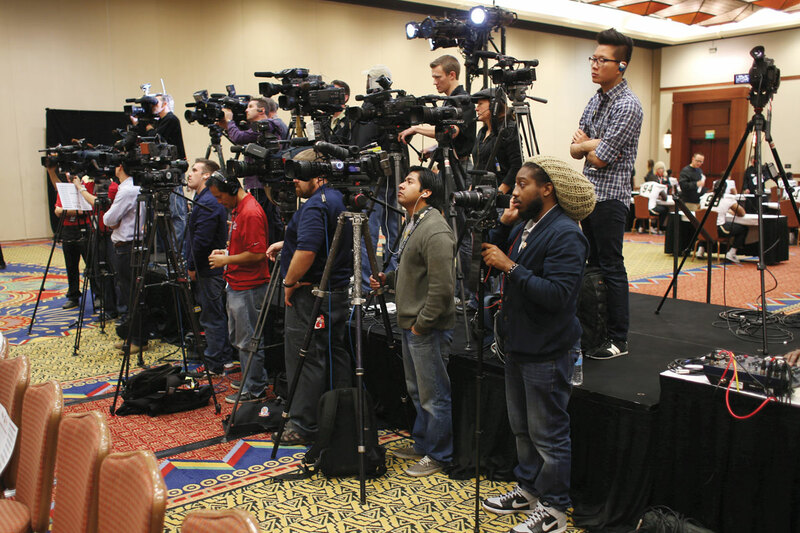 Players patiently responded to questions from the media. UCF and Baylor packed meals at St. Mary’s Food Bank Alliance in Phoenix. 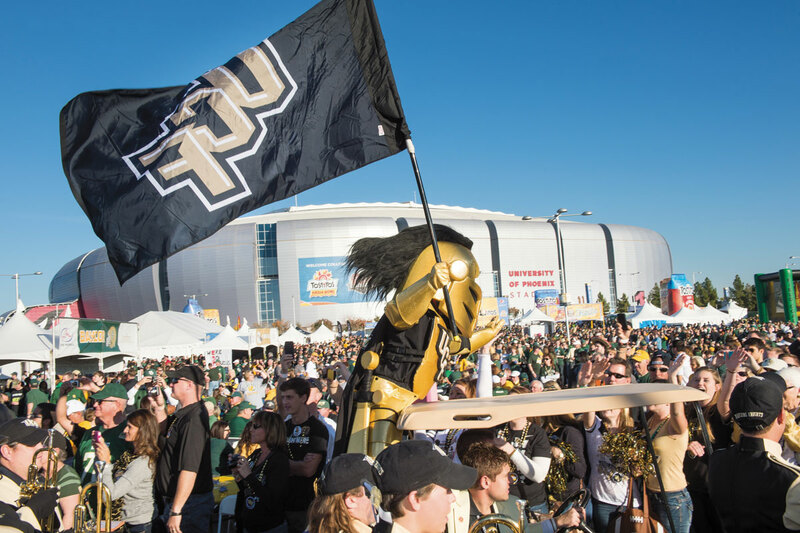 On New Year's Day Knightro fired up Knights fans outside the stadium. 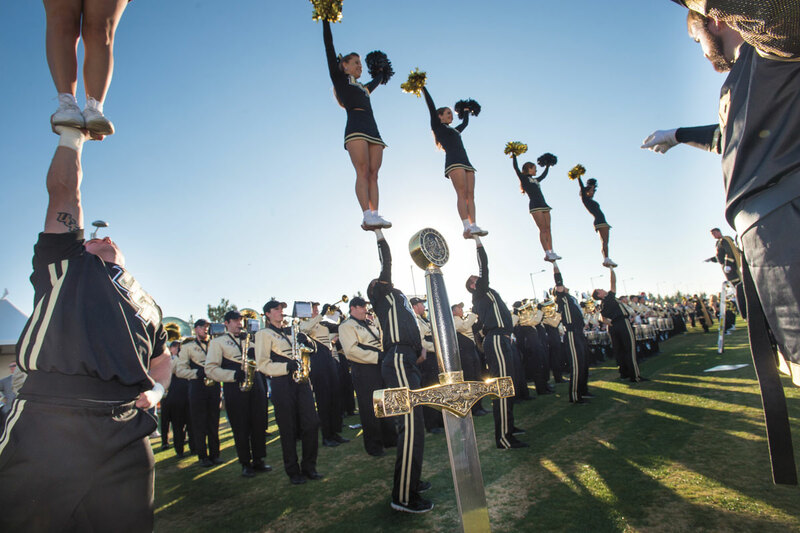 The Marching Knights band and the cheerleaders entertained fans. 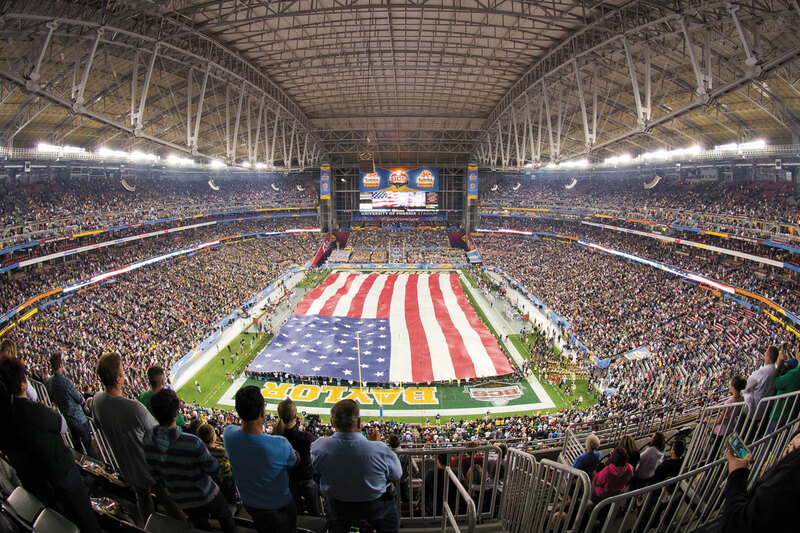 It’s showtime for 65,000 stadium fans and 11 million TV viewers. 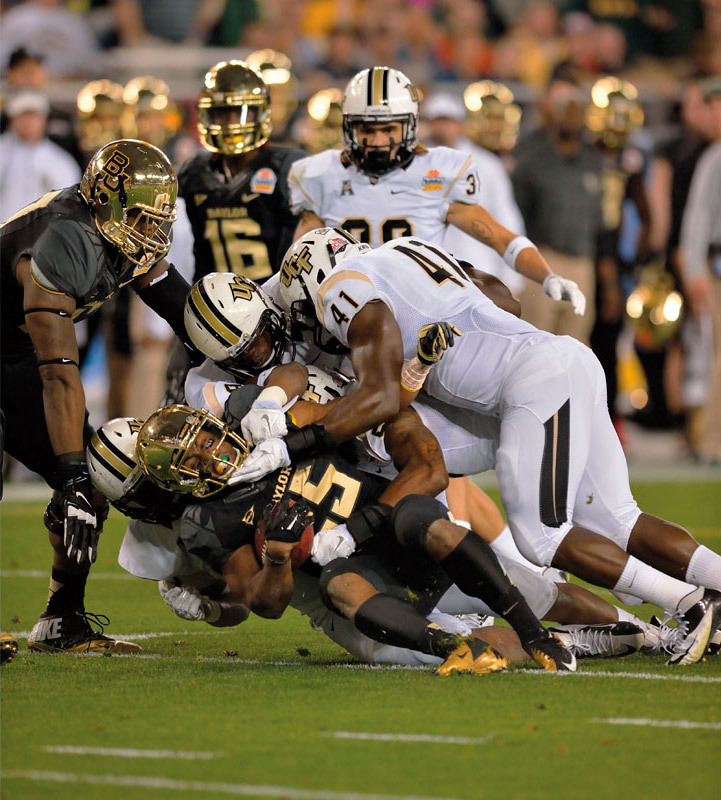 On the opening drive of the game, UCF would take a 7-0 lead after a 6 play, 76 yard drive. 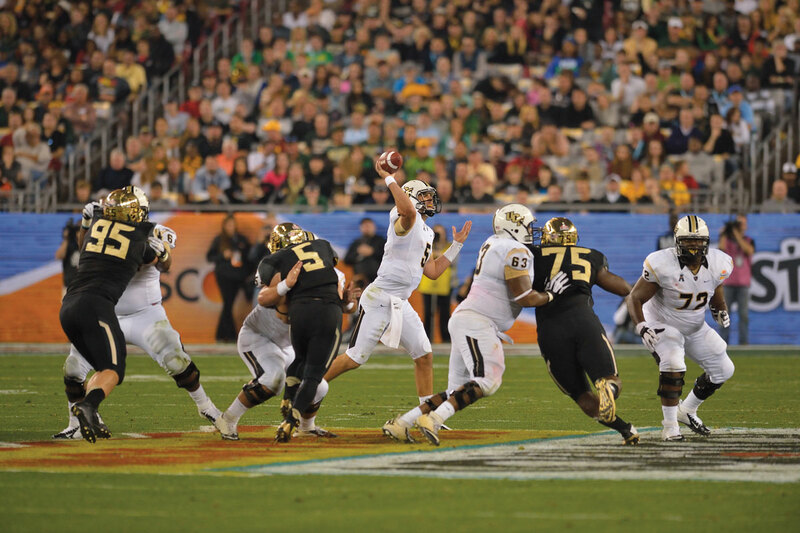 Kudos to the offensive line for protecting Blake Bortles and opening up running lanes. Blake ran for one touchdown and threw for three touchdown passes. 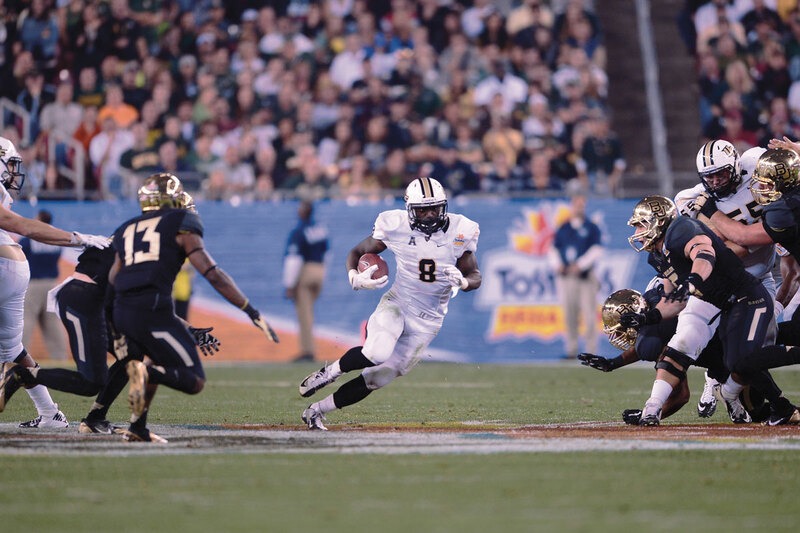 Storm Johnson scored three touchdowns and rushed for 124 yards on 20 carries. 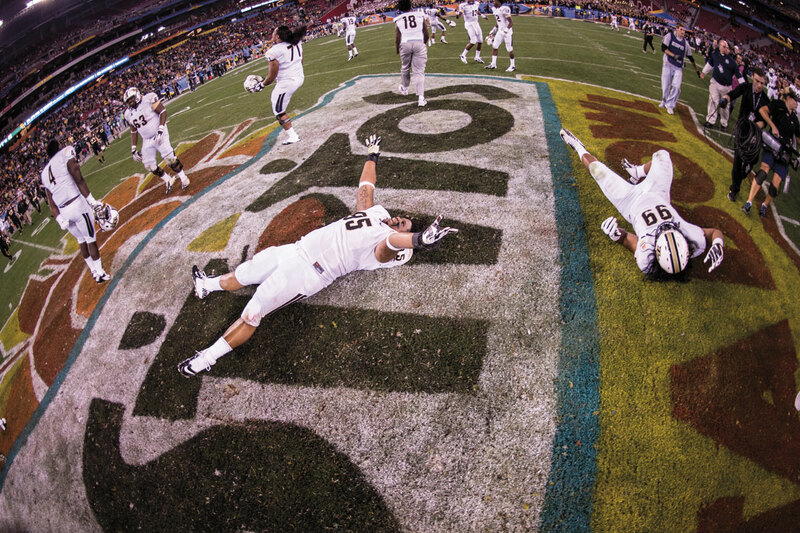 Entering the game Baylor was the nation’s best offense averaging 625 yards and 53 points per game. Three Knights converging on Baylor running back. Rannell Hall caught four passes for 113 yards and two touchdowns. 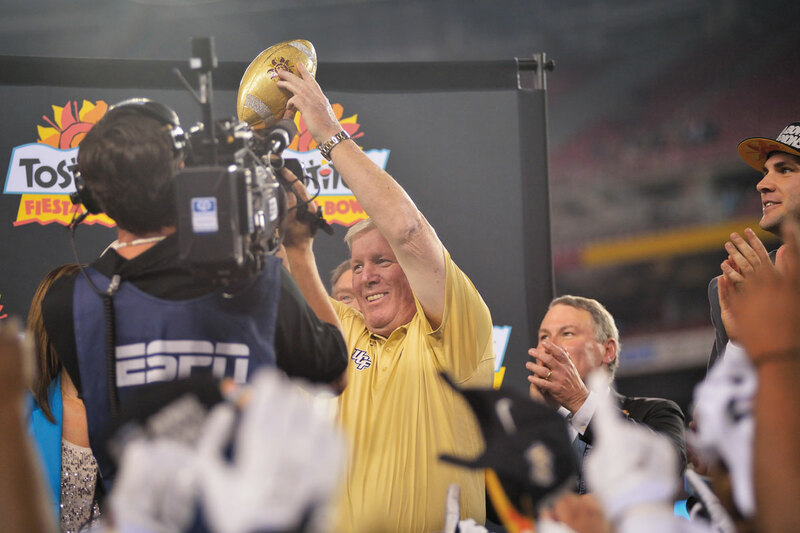 Coach O'Leary celebrated his tenth season with UCF’s first 11-win regular season, first perfect conference record, first win against a Big Ten opponent, first win against a Top–10 team, third conference title (2007, 2010, 2013) and the program's first appearance and win in a BCS bowl. 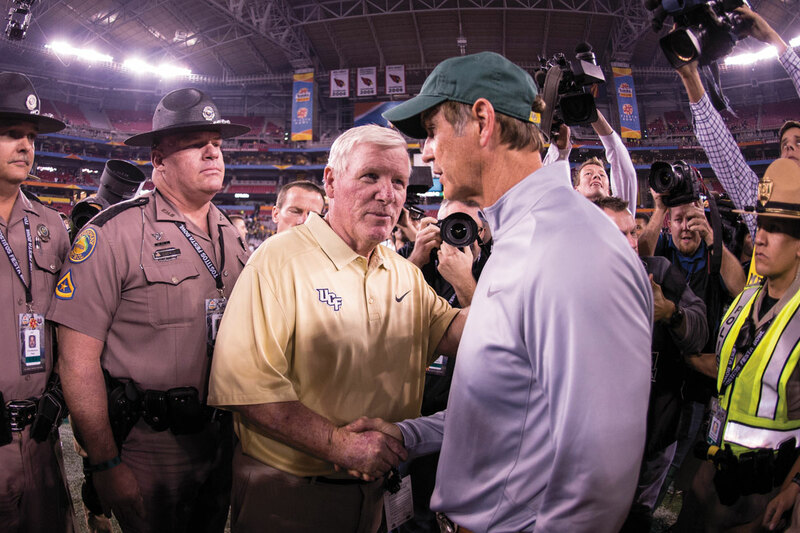 Coach O'Leary and Baylor head coach Art Briles meet at midfield after the game. 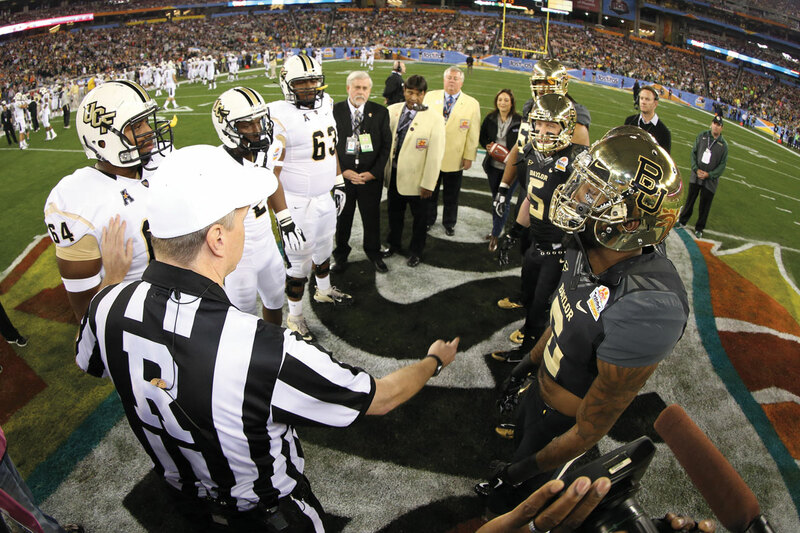 The UCF win eclipsed the largest spread in BCS history – Baylor was a 16.5 point favorite. The Football Knights continued their celebration in the locker room. 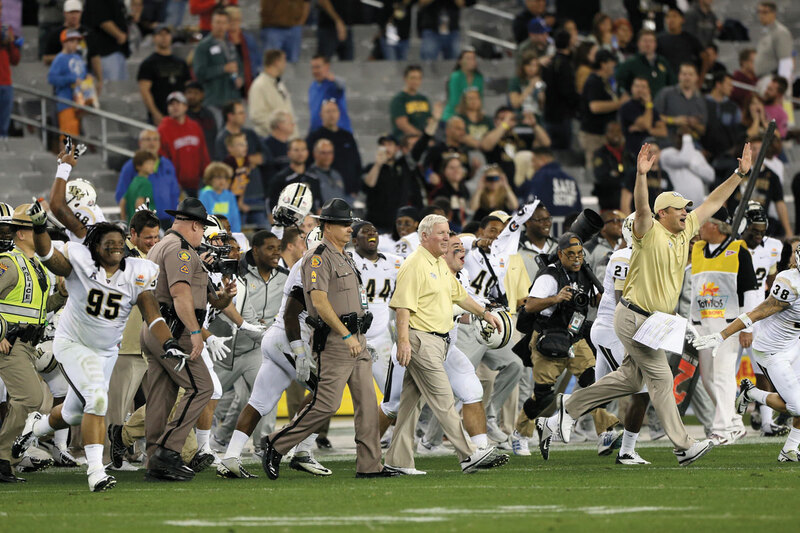 The bowl victory secured UCF’s first Top 10 ranking.